Start Reading: Let's Go on Holiday! No More Singing! 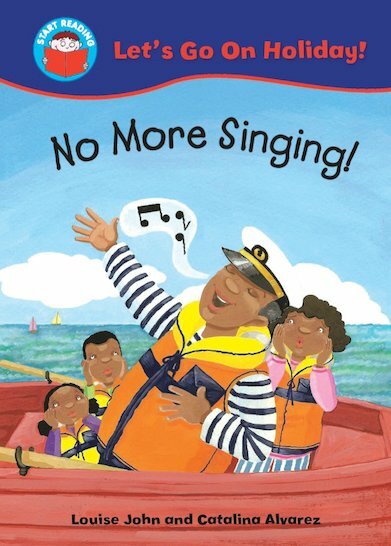 The family are at the seaside, on a boat, but Dad just won’t stop singing! How can the family get him to be quiet? A comical story to boost enthusiasm and literacy, written for beginners in a handful of easy words. Suitable for readers at Red Band 2 of the Book Bands for Guided Reading.